Firstly, I would like to express my appreciation to all my dear students who have been making aspirations for the swift return of His Holiness Kunzig Shamar Rinpoche, ever since his Parinirvana. This year’s Kagyu Monlam at Bodhgaya, in the presence of the Mahabodhi Temple and under the Bodhi Tree, will be a further opportunity to dedicate your efforts for our great master’s swift return. 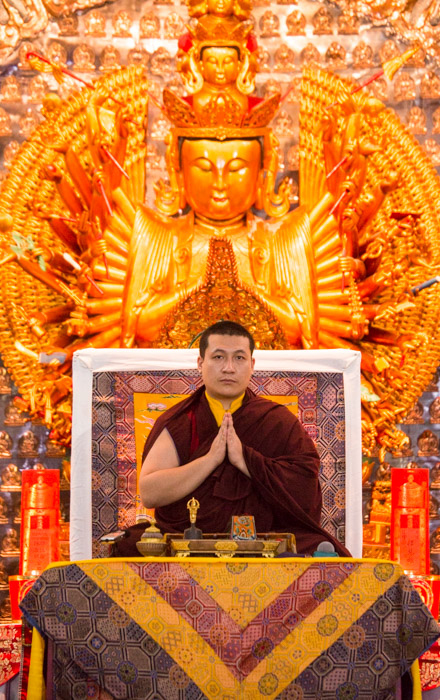 Whether you can join the Monlam in person, or offer your prayers from home, I wish you to know that your practices and your aspirations for the swift return of His Holiness Kunzig Shamar Rinpoche are of great benefit. Please continue to dedicate your practices for this purpose.